Luis Martinez, “3 Senior ISIS Leaders Killed in US Airstrikes in Iraq,” ABC News, December 18, 2014, http://abcnews.go.com/Politics/senior-isis-leaders-killed-us-airstrikes/story?id=27700324. Terrence McCoy, “How the Islamic State evolved in an American prison,” Washington Post, November 4, 2014, https://www.washingtonpost.com/news/morning-mix/wp/2014/11/04/how-an-american-prison-helped-ignite-the-islamic-state/. after which he joined al-Qaeda in Iraq, the predecessor to ISIS.“Statement by NSC Spokesperson Ned Price on the Death of ISIL Deputy Leader Fadhil Ahmad al-Hayali,” White House, August 21, 2015, https://www.whitehouse.gov/the-press-office/2015/08/21/statement-nsc-spokesperson-ned-price-death-isil-deputy-leader-fadhil. “Statement by NSC Spokesperson Ned Price on the Death of ISIL Deputy Leader Fadhil Ahmad al-Hayali,” White House, August 21, 2015, https://www.whitehouse.gov/the-press-office/2015/08/21/statement-nsc-spokesperson-ned-price-death-isil-deputy-leader-fadhil. 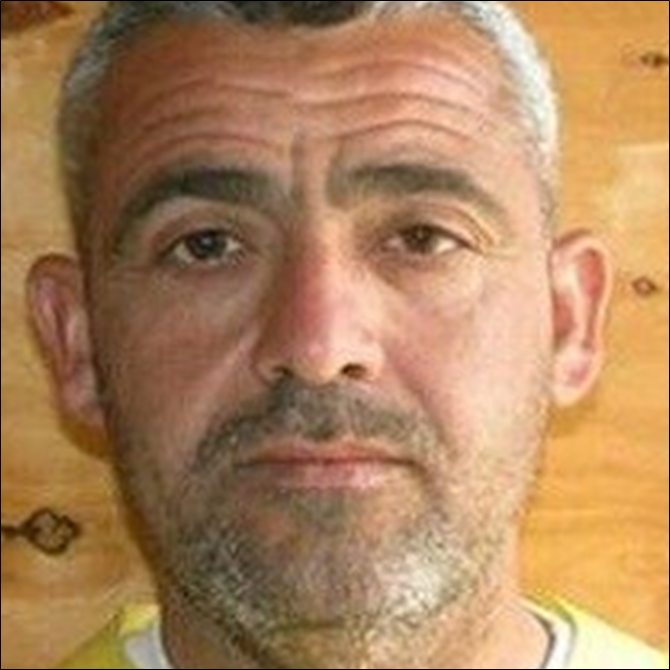 Born as: Fadel Ahmad Abdullah al-Hiyali “Abu Muslim al-Turkmani: from Iraqi officer to slain ISIS deputy,” Al Arabiya, December 19, 2014, http://english.alarabiya.net/en/perspective/profiles/2014/12/19/Abu-Muslim-al-Turkmani-From-Iraqi-officer-to-slain-ISIS-deputy.html. Fadhil Ahmad al-Hayali “Statement by NSC Spokesperson Ned Price on the Death of ISIL Deputy Leader Fadhil Ahmad al-Hayali,” White House, August 21, 2015, https://www.whitehouse.gov/the-press-office/2015/08/21/statement-nsc-spokesperson-ned-price-death-isil-deputy-leader-fadhil. Julian E. Barnes, “Several Islamic State Leader Have Been Killed in Iraq, U.S. Says,” Wall Street Journal, December 18, 2014, http://www.wsj.com/articles/several-islamic-state-leaders-have-been-killed-in-iraq-u-s-says-1418926663. Fadhil Ahmad al-Hayali “Statement by NSC Spokesperson Ned Price on the Death of ISIL Deputy Leader Fadhil Ahmad al-Hayali,” White House, August 21, 2015, https://www.whitehouse.gov/the-press-office/2015/08/21/statement-nsc-spokesperson-ned-price-death-isil-deputy-leader-fadhil. Julian E. Barnes, “Several Islamic State Leader Have Been Killed in Iraq, U.S. Says,” Wall Street Journal, December 18, 2014, http://www.wsj.com/articles/several-islamic-state-leaders-have-been-killed-in-iraq-u-s-says-1418926663.